How to save your cracked tooth? A cracked tooth can result from biting on hard foods, grinding your teeth at night, and can even occur naturally as you age. It’s a common condition and the leading cause of tooth loss. What is a cracked tooth? 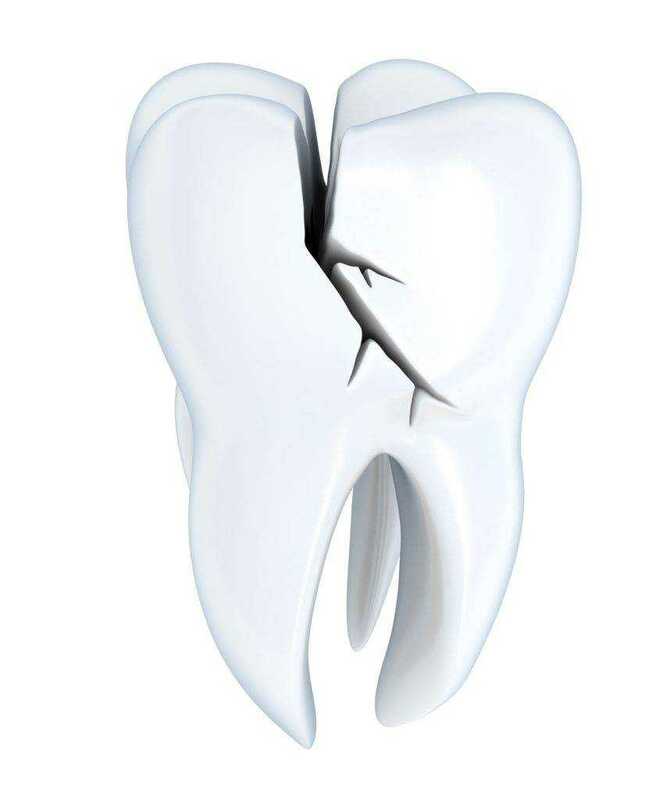 A cracked tooth is a tooth that has become broken or damaged. Do all teeth crack in the same way? No. teeth can rack In several different ways. Cracked Tooth— This happens when a crack runs from the biting surface of the tooth down towards the root. A cracked tooth is not split into two parts but in soft, Inner tissue of the tooth is usually damaged. Craze Lines— These are small cracks that affect the outer enamel of the tooth. They are common in all adult teeth, usually cause no pain. Craze lines need no treatment. Cracked Cusp- The cusp is the pointed part of the biting surface of your tooth. If a cusp becomes damaged, that may lead to tooth break. You will usually get a sharp pain in that tooth while biting. Split Tooth— This is normally the result of an untreated cracked tooth. When it is not treated the tooth can split into two parts. Vertical root fractures will crack that begin in the root and go up towards the biting surface. Extreme bruxism (tooth grinding), which can put the teeth under enormous pressure. Large ﬁllings may weaken the tooth. Biting on something hard such as ice, boiled sweets, fruit stones or meat bones. A blow to the lower jaw or chin. Gum disease, where there has been bone loss make the teeth more likely to suffer from root. sudden changes in mouth temperatures. How can I notice if I have a cracked tooth? The signs can be difﬁcult to spot and the symptoms may vary from person to person. You may get pain when you are chewing, especially when you release the biting pressure. Extreme temperatures, especially cold, may cause discomfort and sensitivity, with no signs of decay. Swelling may be found in a small area near the affected tooth. If the pain is severe, take pain relief. Always check with your doctor or pharmacist if you are taking any other medication. Cracks show up on a dental x-ray? 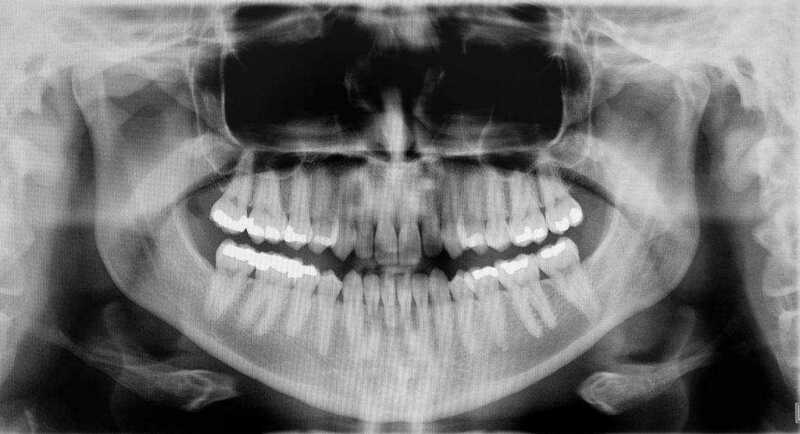 Unfortunately, dental x-rays don’t show up the cracked tooth sometimes. This is because of the x-ray beam must be parallel to the crack before it can penetrate it. However, sometimes other signs of a crack may appear. With a vertical root fracture, if the crack has been there long enough, vertical bone loss near to the tooth can be seen in X-ray pictures. Your dentist may use a bright light or a magnifying glass to ﬁnd the crack. They may also use a Special dye to follow the course of the crack. Will I need to have treatment? Yes. It is important to get advice before it becomes severe. If they are not treated, cracked teeth can lead to the death of the nerve, and an abscess might grow that could need root canal treatment or extraction. In extreme condition, the tooth can actually split in two. In such condition your dentist will not be able to save the tooth and it will need to be taken out. Will I lose my tooth? In some cases, if the tooth is harming surrounding tooth the tooth may need to be taken out, but not always. It is important therefore to get advice as soon as possible. How are cracked teeth fixed? The choice of treatment depends on the amount of damage to the tooth. You should ask your dentist what the best treatment for you is. Bonding — This is when a plastic resin is used to ﬁll the crack and it can easy method to repair a small chip off the biting edge of the tooth. Bonding can restore the shape of the tooth. Cosmetic Contouring — this is done when the chip is very small. The rough edges of the cracked tooth are rounded and polished to blend away the crack. Veneers — These are ideal for a tooth that still has a fair amount of structure remaining, as they are long lasting and need the least amount of tooth removing ﬁrst. A veneer is a thin porcelain layer material made to ﬁt over the front surface of the tooth. crowns — these are used as a last resort for a tooth that ﬁts right that is not suitable for a veneer. A crown fits over what is left of the tooth structure, making it strong and giving it the appearance of a natural tooth. If the nerve has been infected and you should get root canal treatment first. This involves removing all infection from the roots of the tooth. The root is then cleaned and ﬁlled with anti-infection substances to prevent any further infections. The tooth would then fitted with a crown to give it extra support. After treatment for a cracked tooth will be safe? Unlike broken bones, the crack in a tooth will never cure completely. After treatment, little chances are there cracked tooth may get worse and you could still lose the tooth. However, It is still important that you get treatment because most cracked teeth can work normally for years after treatment. Your dentist will be able to tell you more about your particular problem and recommended treatment. Can I stop my teeth cracking? Wear a Mouthguard – If you clench your teeth at night, have a night guard made to protect the teeth. If you play sports, wear a custom—made mouthguard, avoid biting or chewing on hard objects. The cost will change depending on what treatment you need. There may be extra costs if there are complications and you need more treatment to fix it. You can book a free dental check-up to consult a dentist. Dr. Jena after graduating as Dental Surgeon in 2007,started working under a well known private practitioner as an associate Dentist. There she mastered her clinical as well as soft skills and thereby picked up clinical and patient management skills. After one and a half year of experience in private clinic she joined a reputed trust where she was associated for 6 and a half years as a senior most dentist. Simultaneously she joined TOTAL DENTAL CARE in January 2010 and continued to work with them till it got converted into a large dental chain by the name of SABKADENTIST. Dr.Jena is associated with SABKADENTIST from the time of its inception. Initially she worked as an associate Dentist and was promoted to the post of Dental Director in August 2011. Initially she was given a responsibility of handling operations of 3 clinic and was ultimately given charge of Audit and Compliance of all clinics of SABKADENTIST across 5 cities. 1) Internal Audits & Compliance. 3) Formalizing and implementing Standard Operational Protocols to improve the service quality. Dr. Jena through her innovative ideas in compliance has applied standardized practice and a very high level of quality control across all clinics of SABKADENTIST. Her solitary goal is to put the company on the peak through stringent Audit and Compliance.